EDITOR'S NOTE: The opinions expressed in the following conversation are those of the book's author and do not necessarily reflect the opinions of LifeSiteNews. 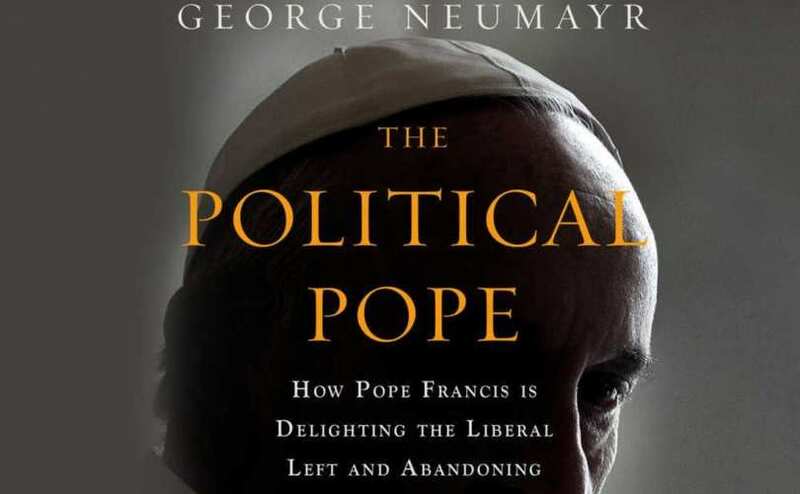 September 1, 2017 (LifeSiteNews) — Journalist Maike Hickson conducted an interview with author George Neumayr on his new book, The Political Pope. Neumayr offers insights into communist influences on Pope Francis. Maike Hickson: Throughout your book, you make references to Pope Francis' relationship with communism or with certain communists in particular. Could you describe for us in general his attitude toward communism? George Neumayr: He tends to speak of communism in benign terms. He told the Italian press that he wasn't "offended" if people call him a communist since he has “met many Marxists in my life who are good people." Another time he said, "I must say that communists have stolen our flag," because "the flag of the poor is Christian." Past popes, who recognized the power of communism to enslave the poor, would have found such comments very puzzling. MH: You write in your book that Pope Francis is sympathetic and supportive of the "radical political agenda of the global left" and you call him an "ecclesiastical equivalent of Barack Obama." What are specific topics that Pope Francis is promoting that remind you of a worldview which is sympathetic with communist ideas? GN: Hardline leftists used to say that they dreamed of a world without popes. But now they gush about Pope Francis. The radical academic Cornel West summed up the reason why: "I love who he is, in terms of what he says, and the impact of his words on progressive forces around the world." In other words, Pope Francis has turned the Vatican into a bully pulpit for the left's favorite causes, including: open borders, gun control, climate-change activism, the abolition of the death penalty and lifetime imprisonment, and the socialism of central planners. This is why the 1960s radical Tom Hayden said his election "was more miraculous, if you will, than the rise of Barack Obama."